"A family run company for over 40 years, we are proud to serve the people of the North East. Since 1977 we have remained true to the belief that each customer is an individual with their own specific needs. Our reputation for honesty and our expert knowledge is class leading with hundreds of 5* reviews. Located beside the A19 where it meets the A1231 we are easy to reach and certainly worth the journey! 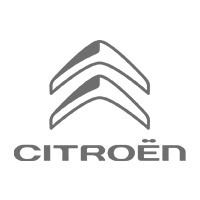 Our workshops take care of all of your future servicing needs with fully-trained staff that have over 150 years’ Citroen experience. Our pre-loved cars are carefully selected, undergo a detailed vehicle health check, have a MINIMUM 1 Year Citroen Manufacturer warranty, 1 year AA breakdown cover and a fresh MOT all free of charge. Best of all there are NO ADMINISTRATION FEES."